Defending champions Barbican FC and Central Kingston FC secured wins at the weekend to soar to the top of the ladder in Magnum KSAFA Super League football competition. Barbican, the defending champions and the only unbeaten team in the competition, extended their overall tally to 17 points after wrapping up their fifth win in Zone A, a 1-0 margin against Molynes United in the feature game of Sunday night’s doubleheader at the Constant Spring field. Joel Downswell scored the only goal of the contest. In the other Sunday game, Dale Reid struck the only goal to hand Meadforest United FC a 1-0 victory over Maxfield Park FC. Meadforest have joined Molynes United FC on 11 points, while Constant Spring FC are way behind on four points, two more than last-place Maxfield Park FC. Prior to Sunday's schedule, there was a Zone A encounter that Real Mona FC won 1-0 against unlucky Constant Spring, which hit the goalpost. Former Tivoli Gardens midfielder, Jamoy Sibbles, scored the game’s lone goal for Real Mona, lifting the team to second in Zone A on 13 points. Meanwhile, Zone B team Boys’ Town appear to have struck gold with the acquisition of striker Jermaine ‘Tuffy’ Anderson, as the striker scored once again to hand them a 1-0 victory over Santos. In only his second match, the former national striker and seasoned goalscorer, Anderson, has enabled the Colour Reds to gain six points in total as he had also scored twice in their previous match, ensuring a 2-1 win over Rockfort FC. Now, the Reds are right up there in running for a semi-final spot. Saturday’s win lifted Boys’ Town to third place in the group on 13 points, three less than Brown’s Town and five adrift of Zone B leaders Central Kingston, which shot to 18 points with their sixth consecutive win, Friday night’s 2-1 success against Rockfort . Karim Brown scored both goals for Central Kingston, while Albert Aarons scored for Rockfort. Rockfort lie third from bottom on five points, the same as Mountain View, which were beaten 2-0 by Brown’s Town, also on Friday, through goals from Dillon McEnnis. Santos, meanwhile, are bottom of the standings in Zone B on two points, this after suffering their fifth loss of the season. Meanwhile, in Magnum KSAFA Major League action at the weekend, Seaview Gardens, led by Zenard Street’s hat-trick, emerged the biggest winners, hammering Pembroke Hall 4-0 in their Zone A match on Saturday. Kemoy Bailey scored the other goal. 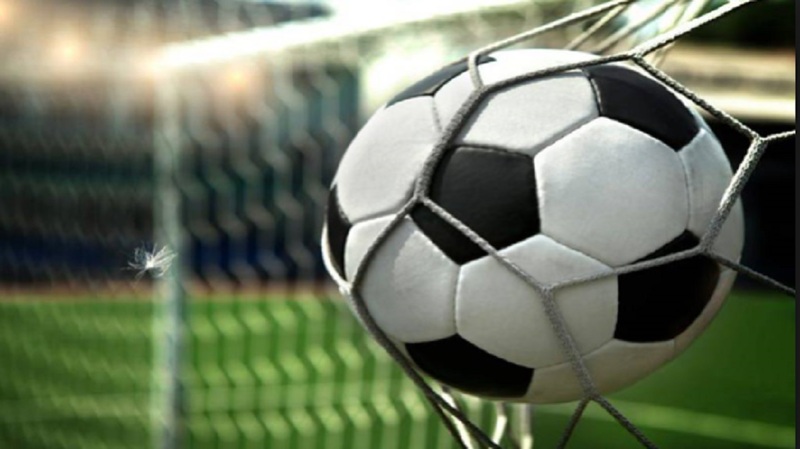 In other Zone A matches, Duhaney Park climbed off the bottom with a 1-0 shocker over leaders Police National; while Cooreville Gardens and Shortwood United played to a 1-1 draw. Omar Pryce scored for Cooreville Gardens, while Kimarley Smalling netted for Shortwood. Police lead with 15 points, followed by Seaview (13), Shortwood (11), Olympic (10), Cooreville (nine), Duhaney Park (five) and Pembroke Hall (four). In Major League Zone B, Tevin Brown and Alvarez Cooper scored to hand Liguanea United a 2-1 win over August Town, for whom Orane Thorpe scored; Kenardo Hunter netted a double in Bull Bay’s 2-0 win over Swallowfield; while New Kingston and Greenwich Town ended 2-2. Tevin O’Connor and Romario Ryan scored for New Kingston, while David Stully and Nicholas Williams netted for Greenwich Town. Liguanea headline the standings with 16 points, followed by Bull Bay (14), Greenwich Town (12), New Kingston (eight), August Town (seven), Allman/Woodford (four) and Swallowfield (three).